Kehida Thermal is waiting for you with 2.400 m2 waterface, 13 pools, more than 1.500 free sunbeds, free parking. 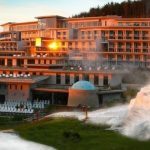 To the spas belong 3 different kind of accomodation – Kehida Termal Hotel, Hertelendy House and Kehida Holiday Village offer you various typ of rooms for wellness weekend, family holiday or for therapie treatment. 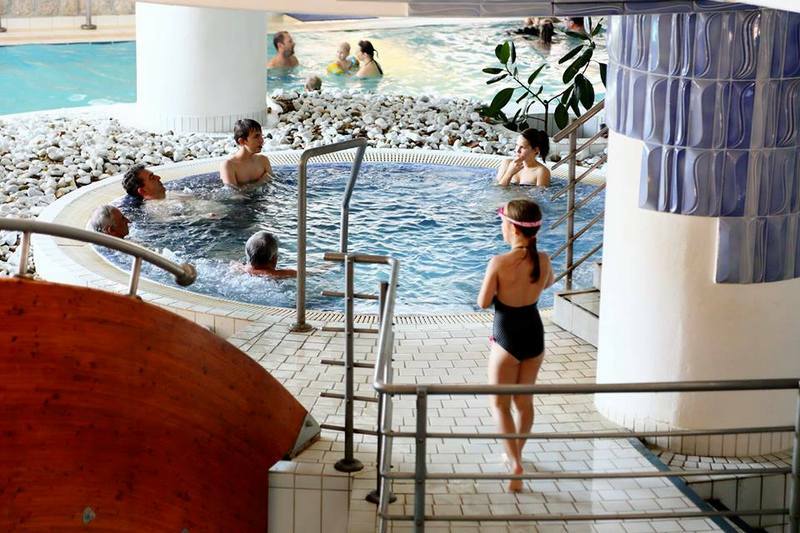 Mum, Dad, the kids and the grandparents – in the Kehida Termal Family Spa the whole family can find something suitable! 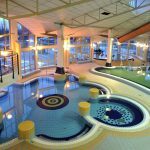 The Kehida Termal Spa and Funbath is waiting for you with 2400 square metres indoor and outdoor adventure bath, 13 pools, 94 metres long tube-slide with song and light effects, Thermal with 34-36 Celsius, whirlpool – island, wild water pool, springboard, eddy pool, diving pool, geysers, toddler’s splash pool, Pool bar and more other spa-fun! 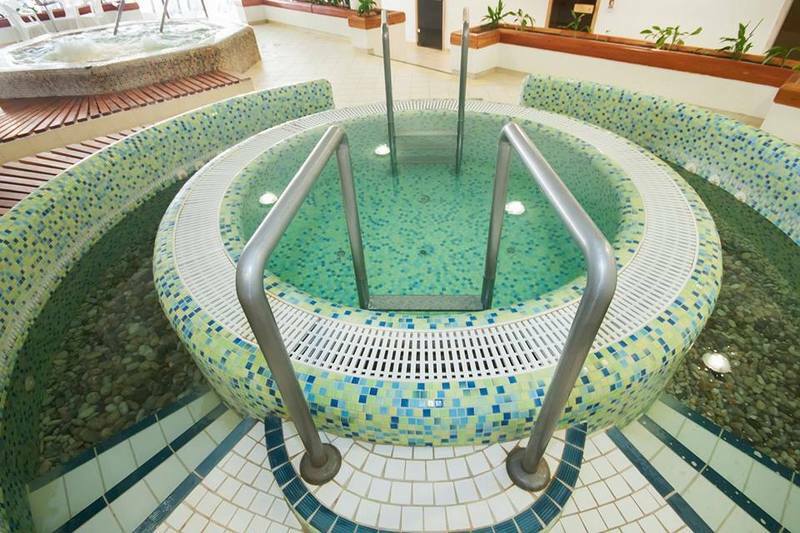 34-36 celsius certified sulphurous natural thermal water is recommended for rheumatic and muscular disorders, gynaecological diseases and skin ailments. 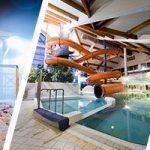 The indoor thermal pools are in a silent area (only for adults), also a restroom with drinking – fountain, further more outdoor thermal pools. Therapy packages are also available. 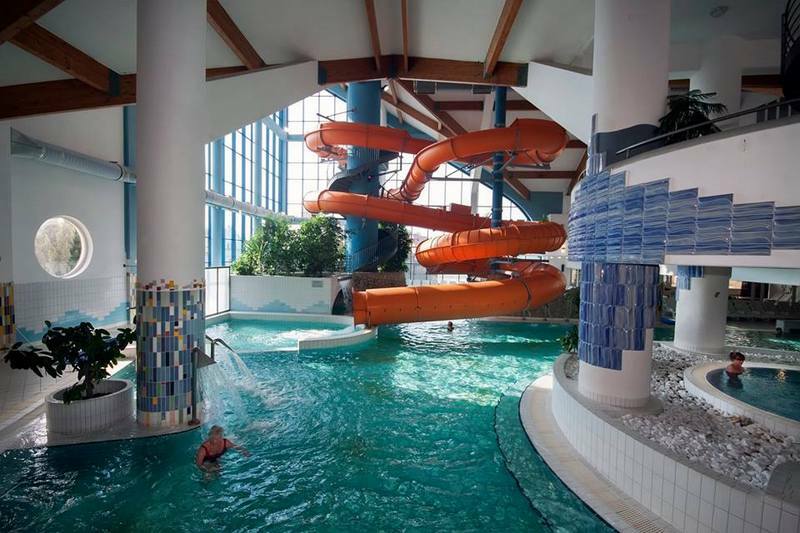 Three – storeyed Mediterranean – style atrium, pool with neck fountains, air beds and fountains, 94 metres long tube-slide with song and light effects, whirlpool – island, wild water pool, springboard, eddy pool, geysers, toddler’s splash pool to look after the pleasure for the whole family, baby – mummy rest room. Pleasant park area, pool with waterworks and fountains, wave bath, baby pool, swimming pools, thermal pools, sunbathing terrace, free deckchairs, kamikaze slides, water gymnastic. In Kehida Thermal we offer treatments for preventing and healing musculoskeletal diseases, surgery pre-treatment and postoperative rehabilitation. The aim is among other things to stimulate the healing process, reduce pain and inflammation, maintain or regain the locomotive function and strengthen the muscles – but there is a medical advice before each cure and treatment. The treatments are not only for adults even the children can have a chance for recovery. We also provide health preserving, improving and musculoskeletal treatments for children: “Dolphin” and “Penguin” cures. We can help the young generation heal with highly experienced specialists, qualified medicinal water, well-equipped therapy instruments and with our physiotherapists. If it is reasonable a special needs teacher can also be involved in the treatment, he/she does movement coordination and starts an individual or group therapy. A cure of Kehidakustány is capable of healing and prevention and it can even be combined with active or passive recreation. We strongly recommend drinking our water as a complementary therapy: sulphur is very beneficial to the human body, it can get into the body not only via bathing, but via drink cure or inhalation. It has a hypotensive effect, in case of rheumatic and locomotive disorders it has a cartilage recovery effect and in case of neurological diseases caused by fatigue and stress it has a “retuning” and sedative effect. It is recommended for curing skin diseases especially as individual tubbing. 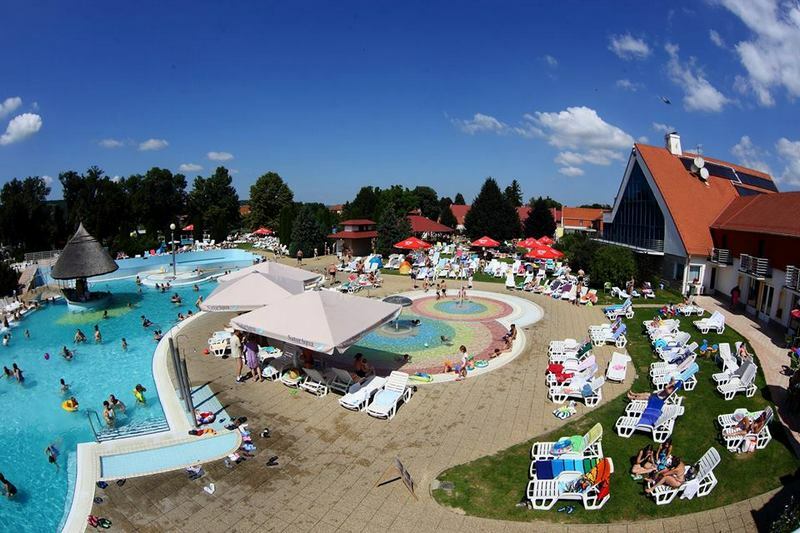 The surroundings of the accommodation, the healing effects of the water and the additional services make the physical and mental refreshment and the healing, self-healing effects complex. Would you like a little pampering? Visit our cosy massage parlour, where excellent, highly qualified specialists help you to completely relax.